I don’t know about you, but my family is always on the go… which means we spend a ton of time in the car. Not only does it feel like we practically live out of it, the mess in the car makes it look like we do! Between crumbs and dirt on the floor mats, loose change in the cup holders, toys in the seats, and junk in the trunk, something had to be done. So, last weekend I made a trip to Dollar Tree and stocked up on a few $1 supplies to help me clean and organize my dirty digs. I’m sharing six hacks so that you can transform your car from cluttered to clean… and on a budget, too! 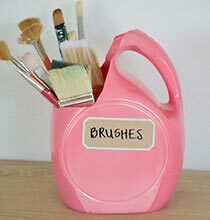 I always have sponge paint brushes on hand for my craft projects. 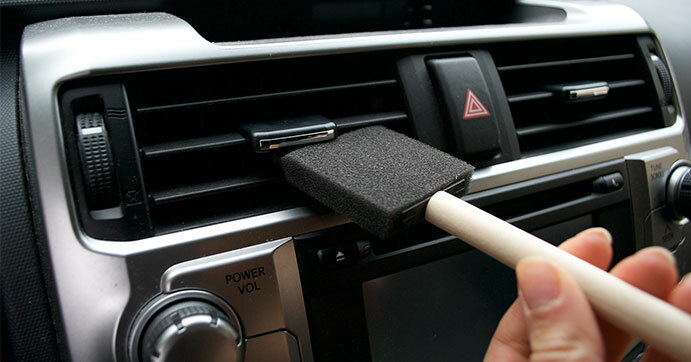 When it’s time to clean my car, I pull one out and use it to dust my air vents. It’s the perfect shape and size to get in between the hard-to-reach sections. Plus, the sponge texture grabs onto dirt and dust like nobody’s business! If you’re like me, you don’t need a phone holder mounted in your car everyday, so why spend the money on one? Plus, when it’s not in use, it just gets in the way. For the times when you need to use your phone’s GPS, I recommend this quick and easy rubber band hack. 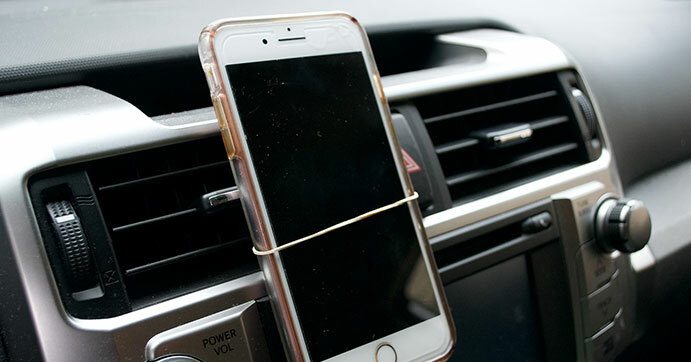 Simply loop a thick rubber band through your now clean air vents and wrap securely around your phone as a DIY holder. 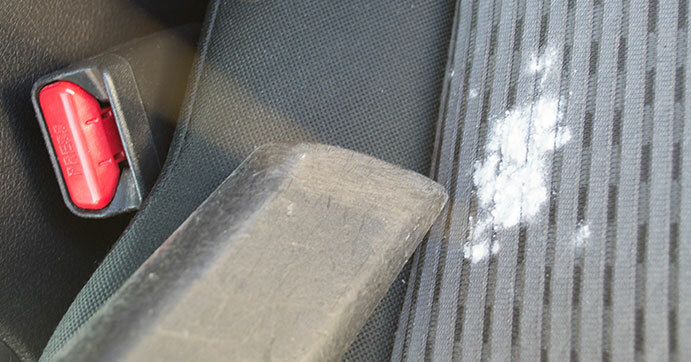 I sprinkle a little baking soda on my seats before I vacuum them to help get rid of any stinky smells! I let it sit for a few minutes to absorb moisture and help remove odor. Air fresheners tend to just mask smells instead of treating them, so I like to add this baking soda step in… especially after a week of driving the kids to and from soccer practice. 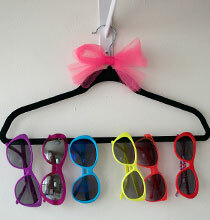 Pee-yew. Are your floor mats still pretty gross even after vacuuming them? 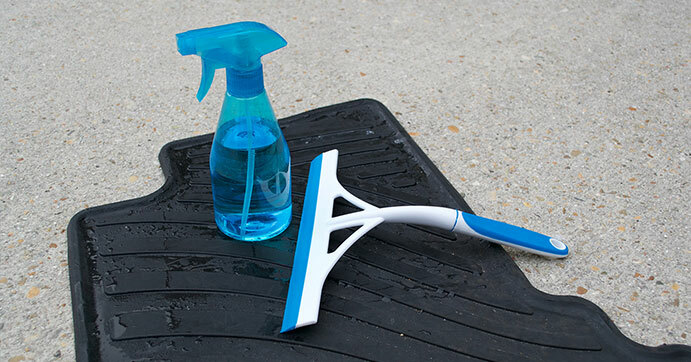 Use a $1 spray bottle filled with water and a plastic squeegee to get rid of dirt, crumbs, and pet hair on rubber floor mats. If you have carpet floor mats, use a cloth instead of a squeegee to wipe them clean. They’ll look as good as new… that is, until everyone gets back in the car! 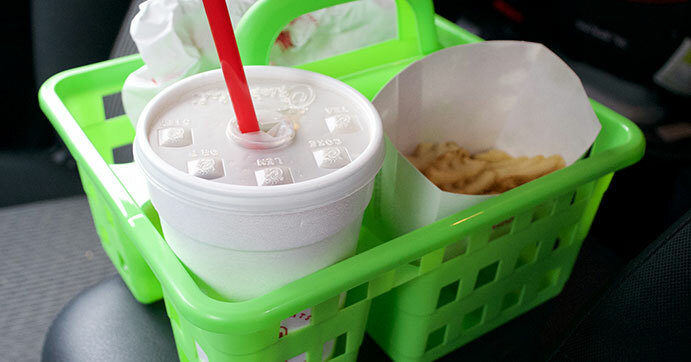 Do you tend to fill at least one of your cup holders with anything BUT a cup? Me too. So, I like to line my cup holders with paper cupcake liners to help me embrace that extra storage space. 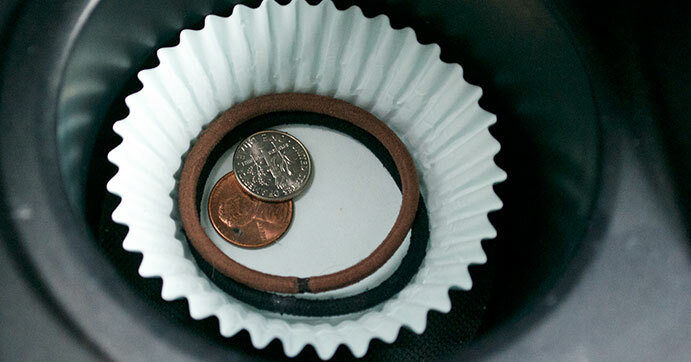 I fill it up with change, hair ties, and more, then when I’m ready to tidy up, I just pull the cupcake liner out. I really hope these tips help you the next time you’re cleaning out your car! 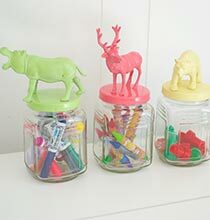 And if you liked this list of hacks, you’ll love these 7 Simple Dollar Tree Household Hacks, too!